Did Yeats go to bed with Maude Gonne? of a single act’s possibility. Sherry Moore Kearns’ writing has appeared in the following publications: Transition, Blueline, Poetry New York, The Glens Falls Review, Sagetrieb, The Greenfield Review, North Country Review, The Body of This Life (Talisman House, 2001) and The Facts on File Companion to 20th-Century American Poetry (Facts on File, Inc., 2005). She is the author of the chapbooks Sister (Poetry New York, 1999) and The Ginko at 57 Pearl St. (James L. Weil, 2005). SUNY Adirondack published her essays Conversations About Poetry as part of their poetry and art series inspired by the William Bronk Collection. 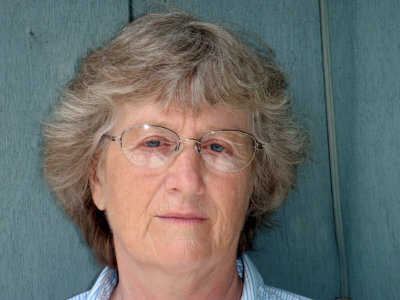 A past recipient of a grant from New York State’s Creative Artists Public Service (CAPS) program, Kearns also received the William Bronk Foundation prize for her memoir Meeting Bill.